The King Size theme is a top seller. It offers a background image slider, 5 different gallery showcases, new portfolio pages for both images and videos, a custom admin panel, shortcodes, and widgets. 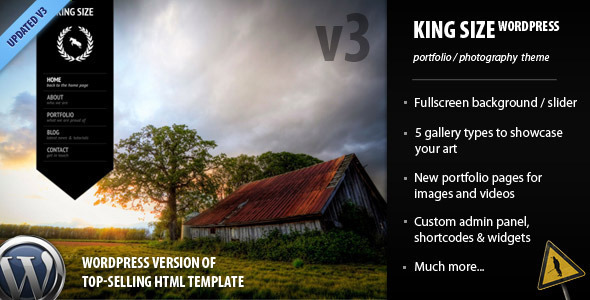 Rule your website as the kings of old with this theme.